Recreation Center (1932 Burton Street): Location of the District offices, Twisters Gymnastics & Cheer Club, and Virtual Fitness Studio. Legion Hall (56423 Westview Avenue): Home of the American Legion Post #183, Discovery Time Preschool, Cub Scouts, and V.I.P. Seniors. Available for special event rentals—includes a full kitchen, tables, and chairs. Community Park (Wagner Street): Gathering place for kids of all ages, including an outdoor basketball court and playground. Recently renovated with the help of an Open Space Grant from Adams County. 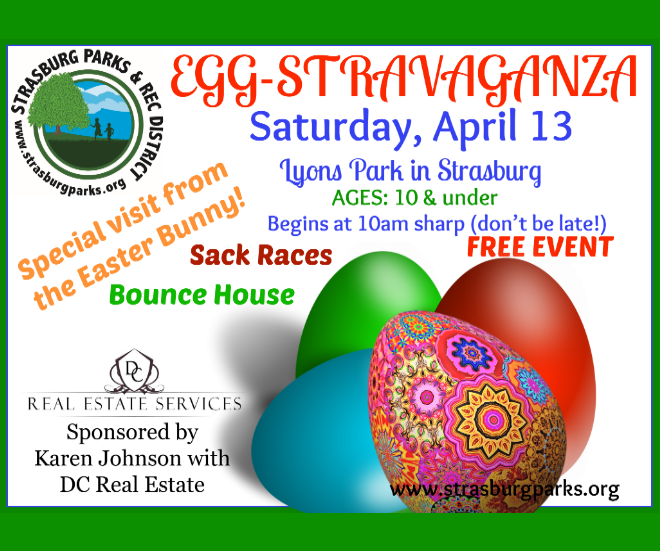 Lyons Park (Railroad Avenue): Facilities include a playground, horseshoe pits, and a covered picnic facility. South Ball Field (1932 Burton Street): Home to the SHS State Championship softball team, youth teams, and adult coed league. Batting cages available on site. North Baseball Field & T-Ball Field (56401 Sunset Avenue): Home to the SHS baseball team. Batting cages and bullpens also available on site. Fitness Trail and Track: The fitness trail begins at the North Field and includes 10 outdoor exercise stations. It concludes at the entrance of the community track. Five Acre Sports Park (55213 E. Bison Drive): Funded by Arapahoe County Open Space Grant, the Park includes a softball field, a multi-purpose turf field, picnic shelter, and a playground.